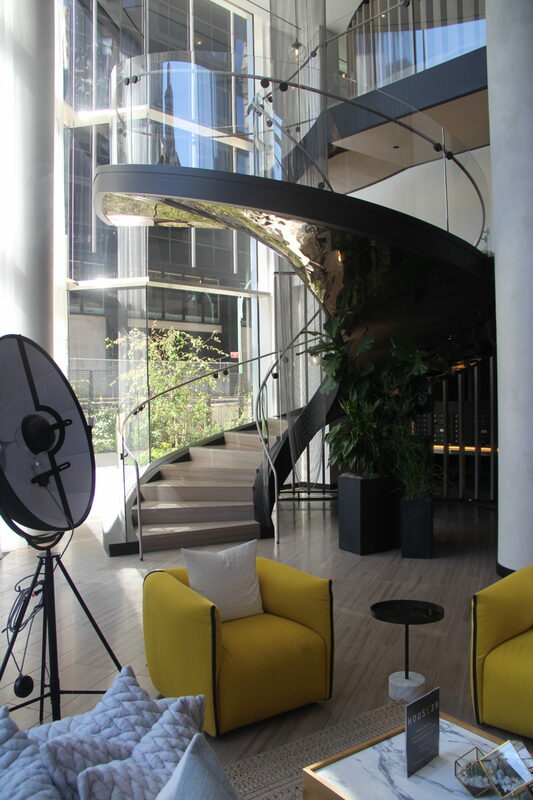 For the feature staircase in the lobby of this residential tower, we engineered a spiral stair with a minimum structural depth in the profile to keep it visually light. The modular stringer was prefabricated and is anchored to embeds at the top and the bottom only. 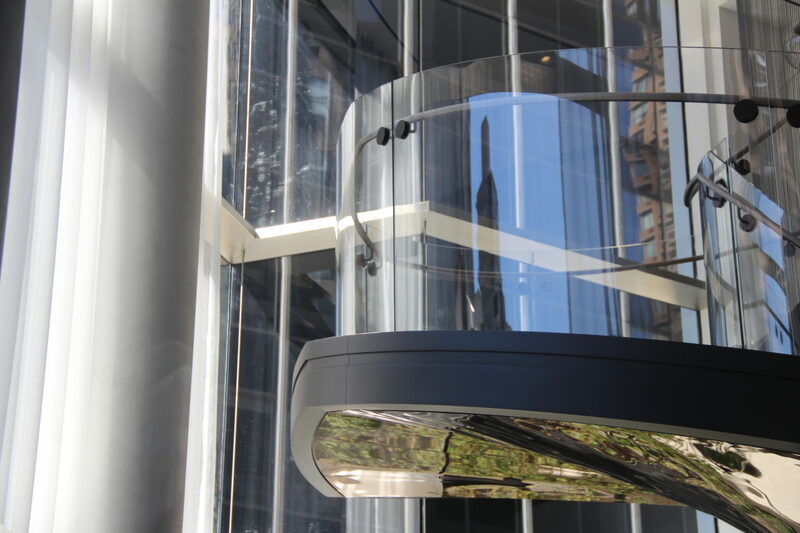 LED also provided glass engineering for the curve glass guardrail. It is unique as a spiral staircase because the form has two revolutions with absolutely no columns supporting it.